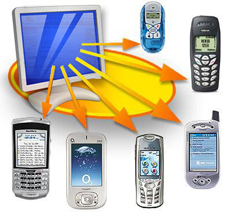 Bulk SMS is yet another key service Apna Recharge provides to both users and Enterprises. Our SMS gateway portals will enable you to send messages directly from your computer, and all you need is an internet connection and Apna Recharge bulk SMS portal. With the second largest population in the world, reaching India's masses always has been difficult. Now with our service, you can reach anyone with our messaging system from an individual to a group, across the length and breadth of India. There aren't many credible bulk SMS services in India and our aim is provide a dependable bulk SMS service for our clients.